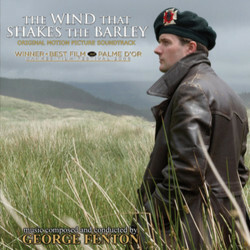 Kronos Records proudlly presents our first collaboration with multiple award winning composer GEORGE FENTON : THE WIND THAT SHAKES THE BARLEY. George Fenton provides a highly dramatical and beautiful score, rich in suspence and action cues for this 2006 Irish war drama film, craftily managing to keep the score from being invasive. The film was directed by Ken Loach and set during the Irish War of Independence and the Irish Civil War. The film won the Palme d'Or at the 2006 Cannes Film Festival.